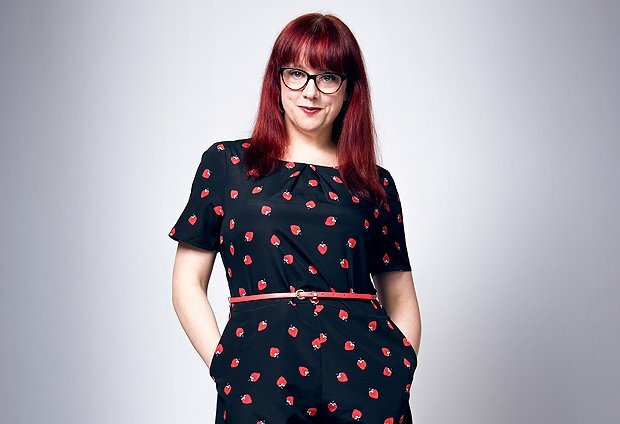 A regular on radio and TV comedy shows about the news, the first half of Angela Barnes' show seems to have evolved out of her having to constantly address current affairs. She takes in the talking points of the last year – Brexit, Trump, Novichok – from her bleaker than bleak perspective in a way that sets up the second half, which is more introspective in nature. Turning her scathing lens on herself, Barnes recaps material from previous shows on her mental health struggles as she glides into this year's theme: how to have a better life. In her efforts to combat a negative body image, exercise is the focus of a large chunk of the remainder, on which her observations are fresh enough to keep this old topic relevant. Buying a new pair of trainers means facing her fears, and Barnes makes overcoming the things that hold us back the crux of her show, as the complaints of the early section part to let in little rays of hope in the unlikeliest of places. If you enjoy watching Barnes in little segments on TV, you'll enjoy a whole hour in her company as she tackles the headlines of 2018 in her own fast, punchy and honest way. Pleasance Courtyard, until 26 Aug (not 13), 7.15pm, £8.50–£12 (£7.50–£10). Stand-up and stories from a comedian who is trying to look on the bright side of life.